Supporting the Davis Arts Council Thank you for supporting the Davis Arts Council. We appreciate your donation in helping us bring the arts to the community. 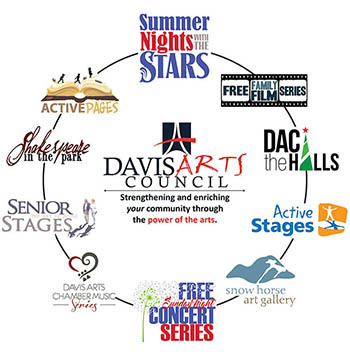 Ticket sales at our "Summer Nights with the Stars" concerts provide approximately 40% of our operating budget. The other 60% comes from the generosity of patrons like you. Every donation, at any level, is vital and we thank you for considering this tax-deducible investment in your community.